Se você quer mais informações sobre nossa Upgrade Policy. 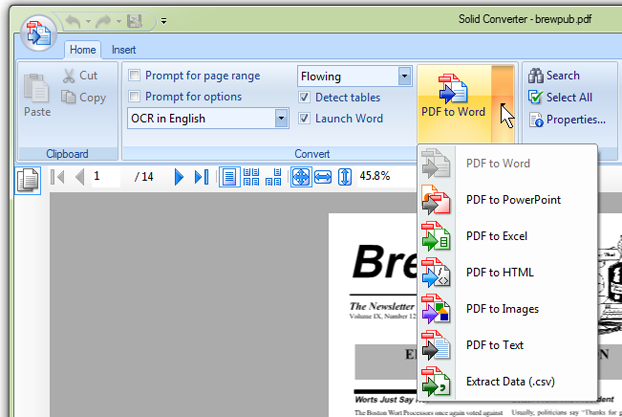 Solid PDF Tools sets the standard for PDF to Word conversion. Almost 20 years of PDF to Word, PDF to Excel, PDF to PowerPoint, PDF to text and PDF to HTML document reconstruction expertise. Try it today and see for yourself. Purchase today. 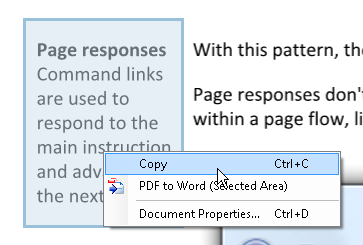 Solid PDF Tools now has an easy to use start page to access your key tasks and files. Solid PDF Tools is a native 64 bit application when running on 64 bit Windows. This improves performance and capability when dealing with very large documents (32-bit processes limited to using only 2GB of computer memory). 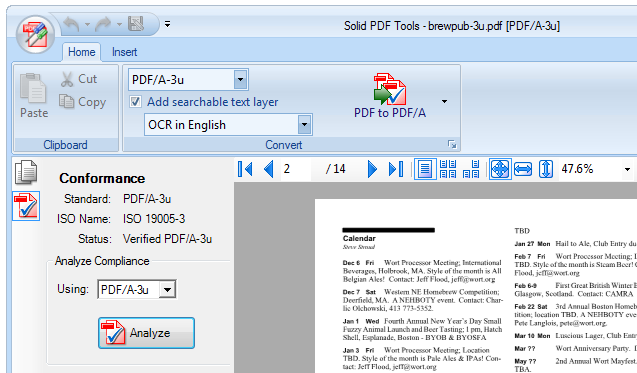 Solid PDF Tools now takes advantage of multi-core processors. This improves performance for time intensive operations like OCR and batch file conversions. Windows 10 is supported. 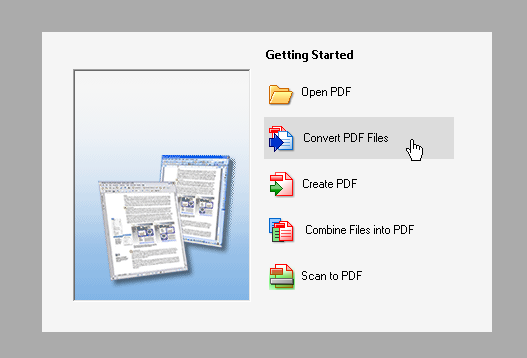 Solid PDF Tools also runs on Windows 8.1 and Windows 7.